Northern Diamondback Terrapins (Malaclemys terrapin terrapin) are native to the East Coast of the United States and have a long history of being considered “game animals.” Harvests of these beautiful animals for the food, the pet trade, habitat loss, and by-catch in crab traps over the past two centuries have seen their numbers dwindle precipitously. The Terrapin Nesting Project is a grassroots organization founded by Kathy Lacey in 2011 with the ongoing support of the Sierra Club. The aim is to restore terrapin populations on Long Beach Island by relocating nests to protected hatcheries. Moving nests is the most effective way to protect these animals, due to the fact the turtles’ nesting beaches have been overrun by beachfront housing, replacing their sandy beaches with gravel and clay. Eggs suffocate or drown if not excavated and placed in the proper substrate. An influx of raccoons and American crows has exacerbated nest predation. Through the grassroots effort of Lacey and her team of volunteers, terrapin numbers are on the rise. Volunteers identify nesting females, help them cross roads, mark nest locations and incubate eggs for future release. Already the team has seen an increase in juvenile terrapins numbers and an improvement to the seagrass beds and estuaries. 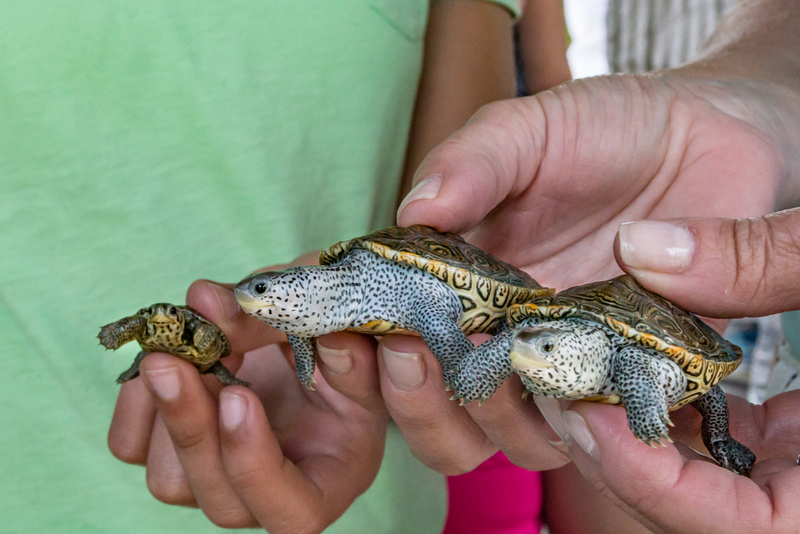 The Turtle Conservancy has made a $2,000 annual commitment to the Terrapin Nesting Project to help improve facilities, increase awareness and outreach, and improve the research component of the program. **Turtle Conservancy members interested in helping with this amazing cause should contact the Terrapin Nesting Project or the Turtle Conservancy. Volunteers to help with monitoring nesting females, beach patrols, and releases are always needed. Donations can be made through either organization and donations of supplies are encouraged as well. Please keep a lookout for supply requests in the near future, as nesting season begins next month.